3 May 2017, New York & London: Leading compliance specialist RegTek.Solutions today announced EMIR-Ready, the first ever dedicated regulatory readiness-testing and validation service. Developed to reduce both the costs and the risks associated with meeting the November 1 deadline for compliance with the European Securities and Markets Authority (ESMA) revised reporting specification (RTS), EMIR-Ready is a unique service providing unlimited testing and diagnostic support for the analysis, development and testing of new regulatory reporting requirements. The testing and preparation service will run from June to November, with no long-term commitment or lock-in. EMIR-Ready will be available as a securely-hosted application on the leading cloud infrastructure AWS Architecture. For the first-time users will be able to test their reporting and have absolute confidence in it. EMIR-Ready is a customized version of Validate.Trade, RegTek.Solutions’ flagship product already being used by major reporting parties to test their reporting submissions to trade repositories and to monitor the quality of their regulatory output. EMIR-Ready captures the specific rules associated with the RTS changes, and makes them available to clients through a secure, scalable, easy-to-use application, allowing users to rigorously test their reporting output and to build confidence that they have fully met ESMA requirements. Globally, thousands of firms are caught by EMIR. All trade repositories must implement changes to collect new data, retire specified data and to provide significantly higher levels of validation of the data that is collected. Given the overhead of the MiFIR / MiFID II projects currently underway for January 2018, firms have limited resources and time to get this project delivered. The RegTek.Solutions mission is simple: deliver the most flexible, complete and cost-effective regulatory reporting systems for financial institutions seeking to improve the quality, transparency, efficiency and control of their systems. RegTek.Solutions is unique in providing clients with a Compliance Service Level Agreement , as well as providing clients with the highest levels of control and compliance solutions in order to keep them ahead of new regulations, requirements and deadlines. RegTek.Solutions is the new home of the Report-it suite of software controls for Global Trade and Transaction Reporting. 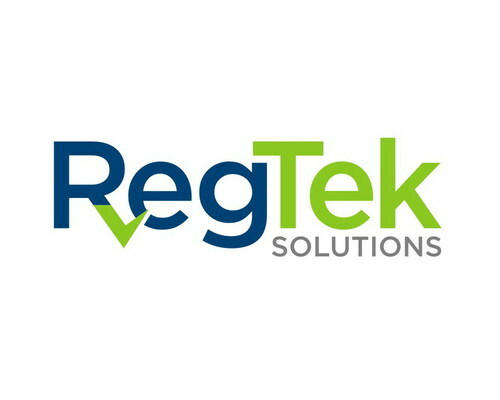 Formed in 2017, RegTek Solutions is a wholly-owned subsidiary of Risk Focus Inc., the firm responsible for the original vision, development and distribution of the Report-It Control Suite, including Validate.Trade, Reportable.Trade, Load.Trade & Reconcile.Trade, which was established in 2004. With offices in New York, London and Riga, RegTek.Solutions’ expertise and solutions are relied upon by the world’s top brokers, banks, clearing houses and hedge funds. The RegTek.Solutions global trade and transaction reporting suite of solutions includes Validate.Trade, Reportable.Trade, Load.Trade and new in 2017, Reconcile.Trade. For more information, visit RegTekSolutions.com. This press release was distributed by ResponseSource Press Release Wire on behalf of RegTek.Solutions in the following categories: Business & Finance, for more information visit https://pressreleasewire.responsesource.com/about.